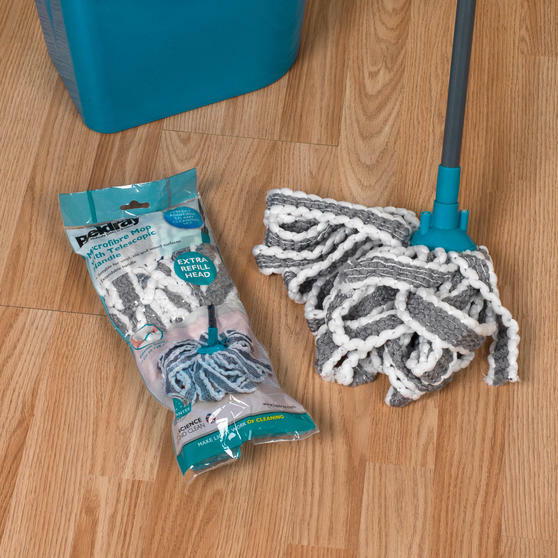 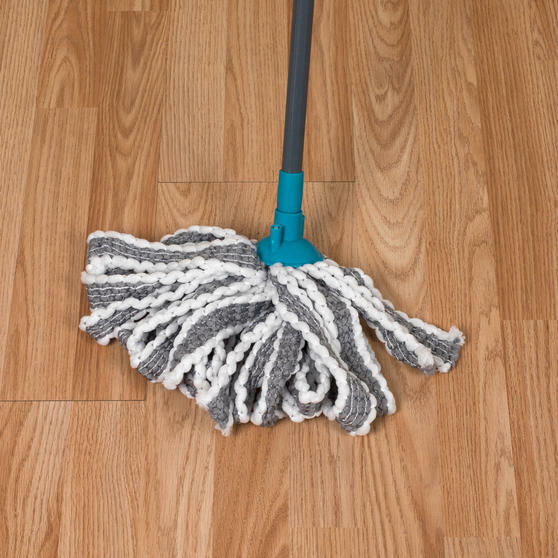 Give your floors an amazing streak free clean with this fantastic easy to use Beldray mop. Wonderfully durable and absorbent, this microfibre mop scrubs away stubborn dirt without scratching or damaging your surfaces. 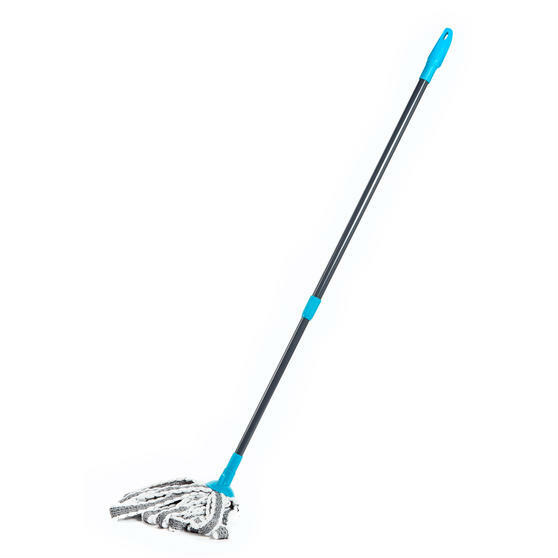 Featuring a convenient telescopic handle, it makes those hard to reach areas simple to clean. 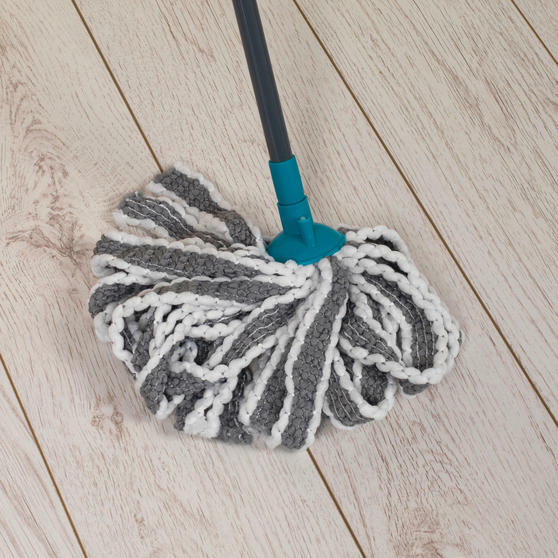 With an extra head included the mop is suitable for use on numerous surfaces including wood, laminate and tiles so it is perfect for giving your home a wonderful shine. 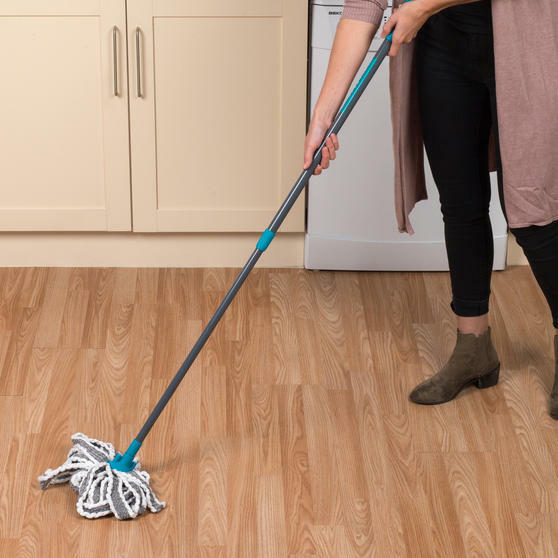 Transform your home with this brilliant Beldray mop, ideal for giving your hard floors a wonderful long lasting streak free shine. 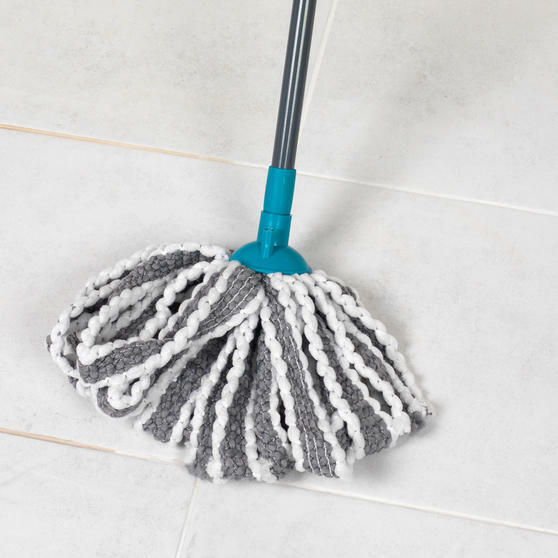 With a spare head included, the sponge mop conveniently collects dirt rather than pushing it around the floor to give a superior clean. Suitable for most hard floors around your home, the microfibre cloth is non-abrasive to avoid scratching or damaging surfaces. 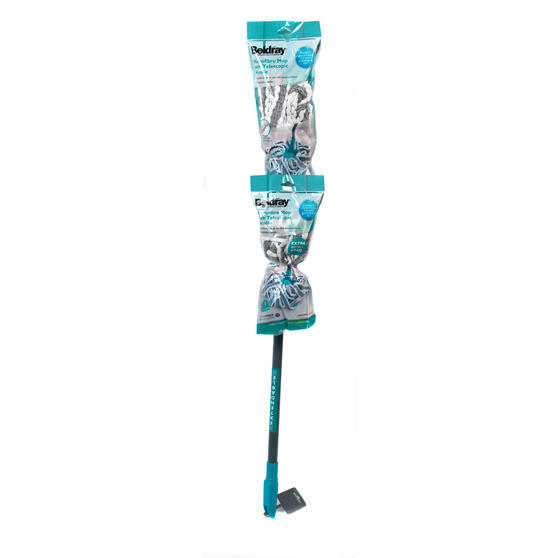 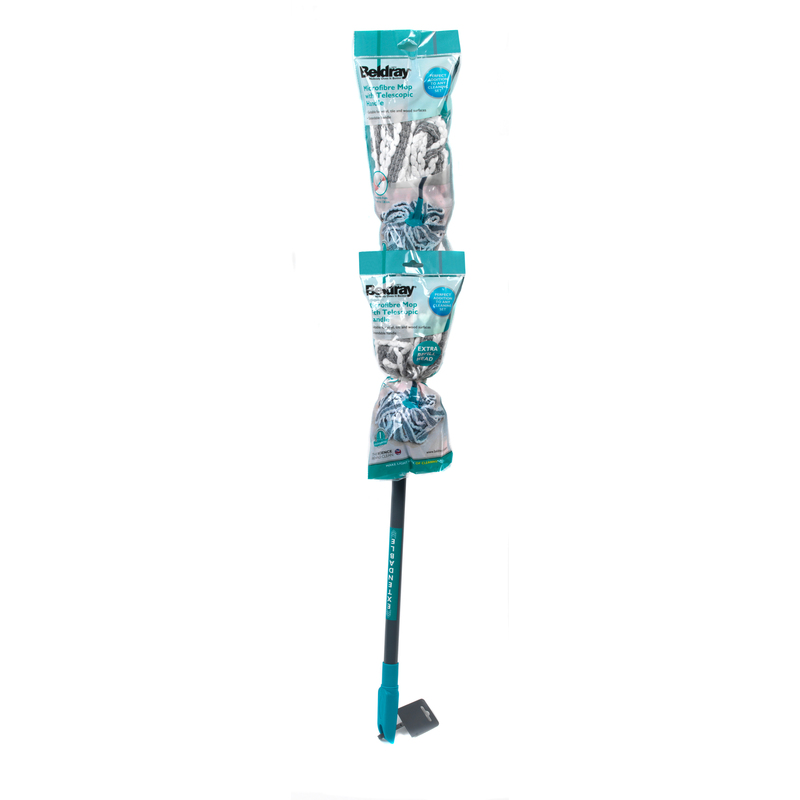 Wonderfully absorbent, this mop is perfect for for soaking up liquid and with the tough microfibre head it removes stubborn dirt. 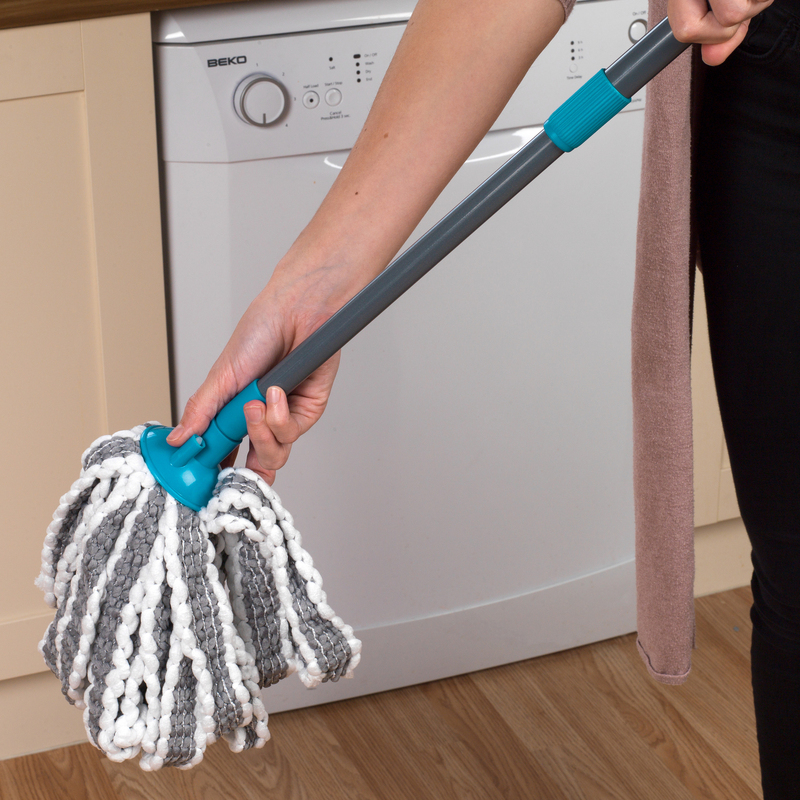 The mop has a brilliant telescopic handle extending to 127 cm so you can get to those hard to reach areas of your home effortlessly.